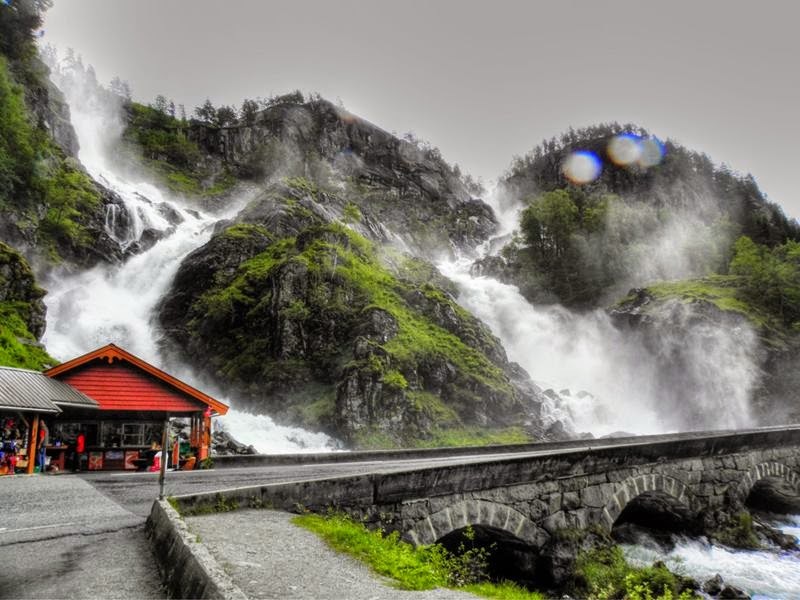 Låtefossen or Låtefoss is a waterfall in Oddadalen "The Odda Valley" in western Norway. 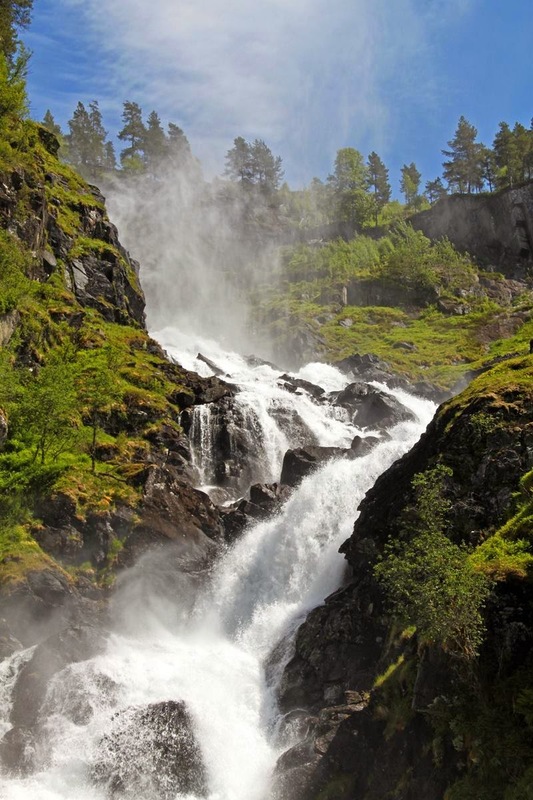 Låtefoss waterfall is a famous twin waterfall close to Route 13 in Oddadalen valley. 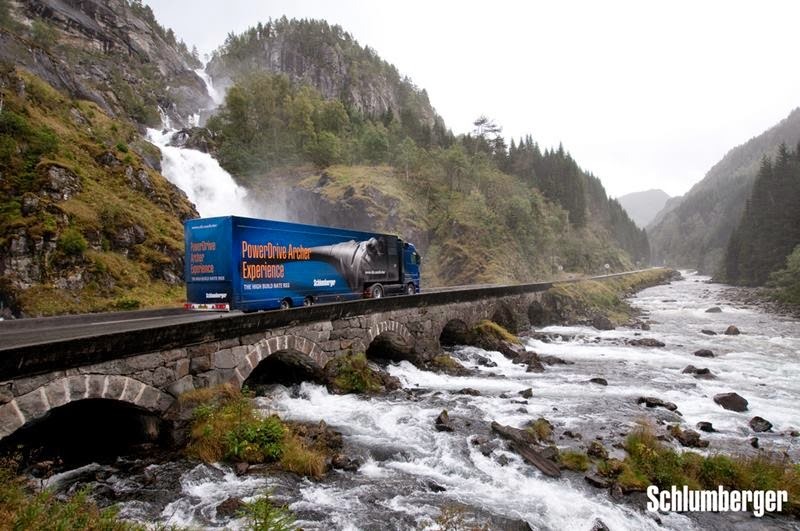 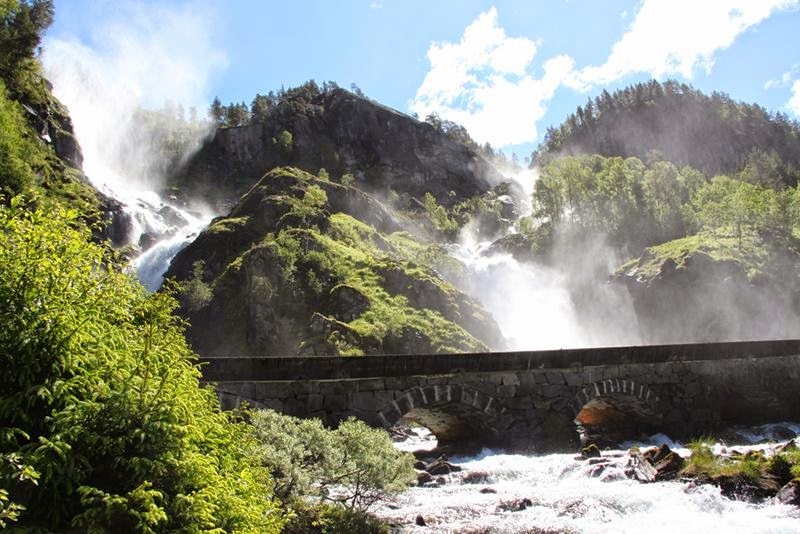 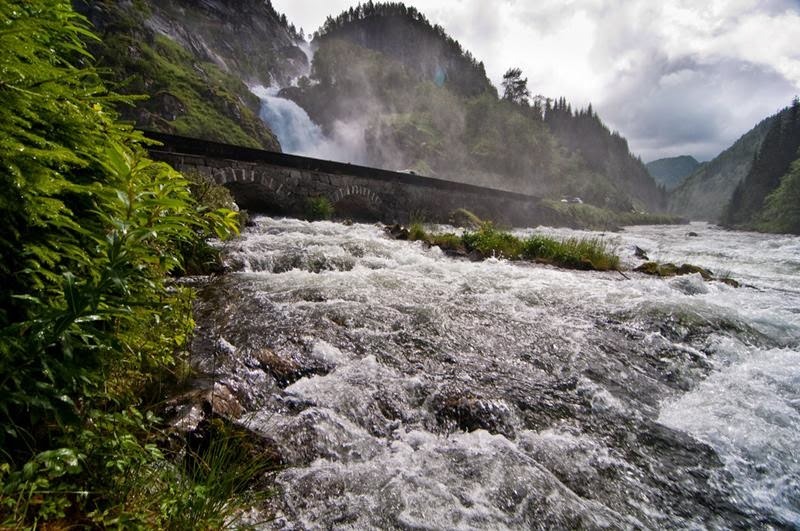 It is among Norway’s most popular and most visited waterfalls simply by proxy of nearly spraying onto the primary road between Odda and Haugesund. 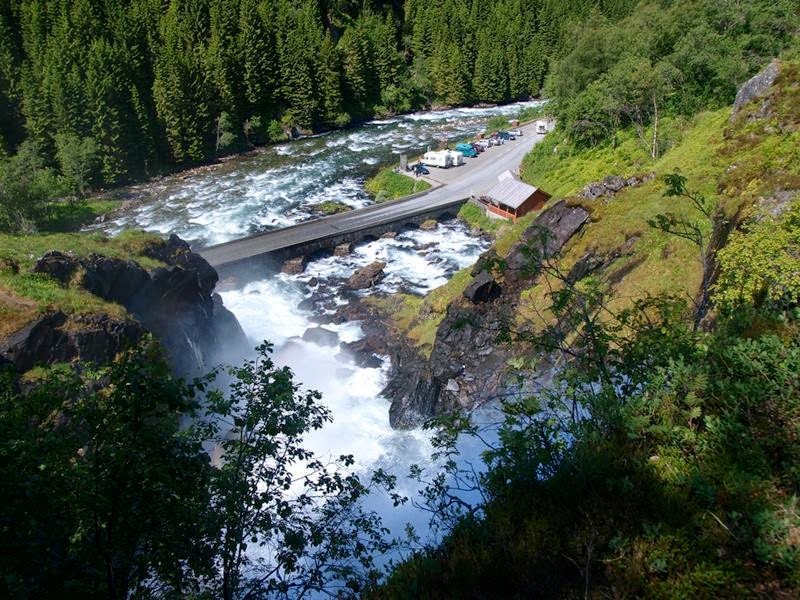 The river Austdølo pools in a moderate lake immediately above the falls and creates two outlets as it finds its way into the Oddadalen. 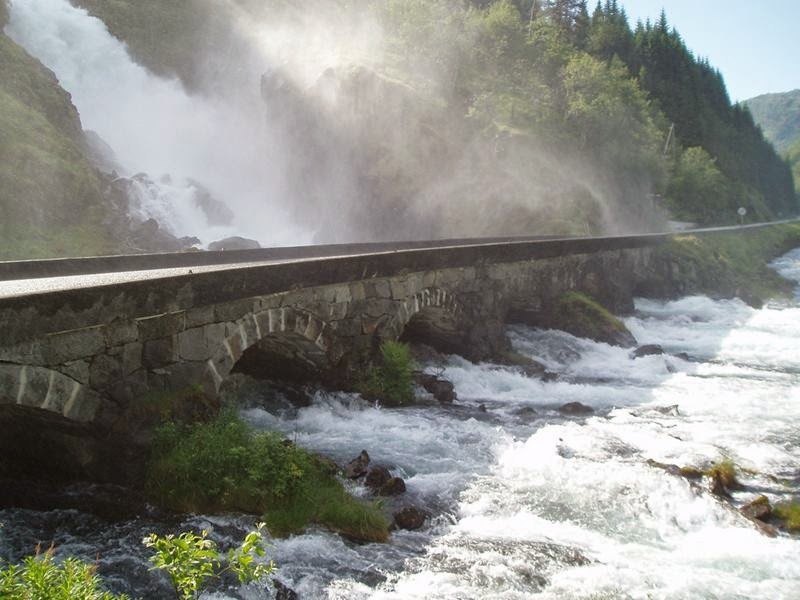 The twin channels of the river both cascade in twisting courses, seemingly mirroring each other, falling a total of 311 feet (95 m) before funneling under the wonderfully rustic six-arched bridge along Route 13. 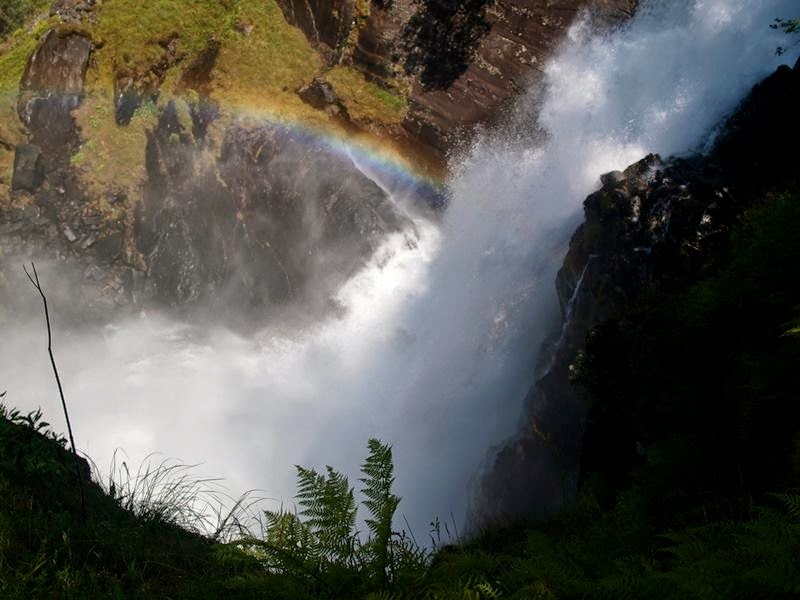 The falls are commonly claimed to stand 540 feet (165m), however topographic data shows this to be a clear impossibility (this figure was likely established when surveying the falls for possible hydroelectric use). 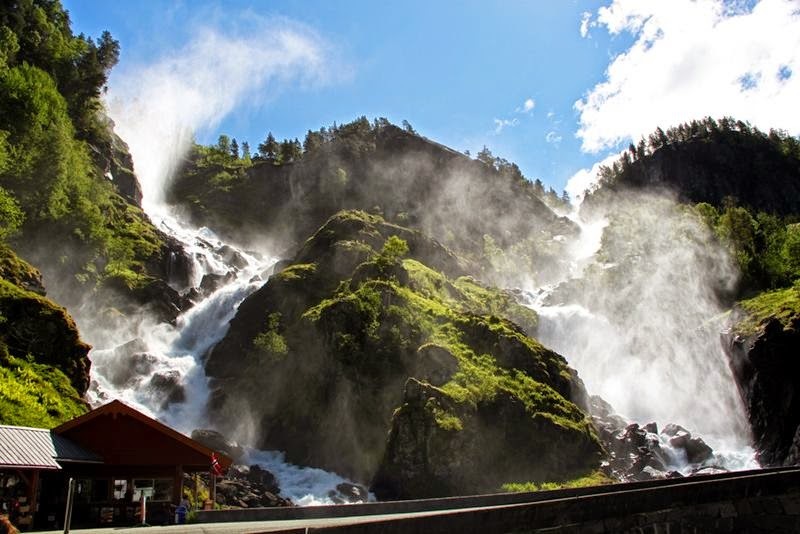 Unfortunately due to the narrow confines of the valley and the twisting, prolonged shape of the falls, the entire waterfall is very difficult to see, let alone appreciate when viewing from the base.